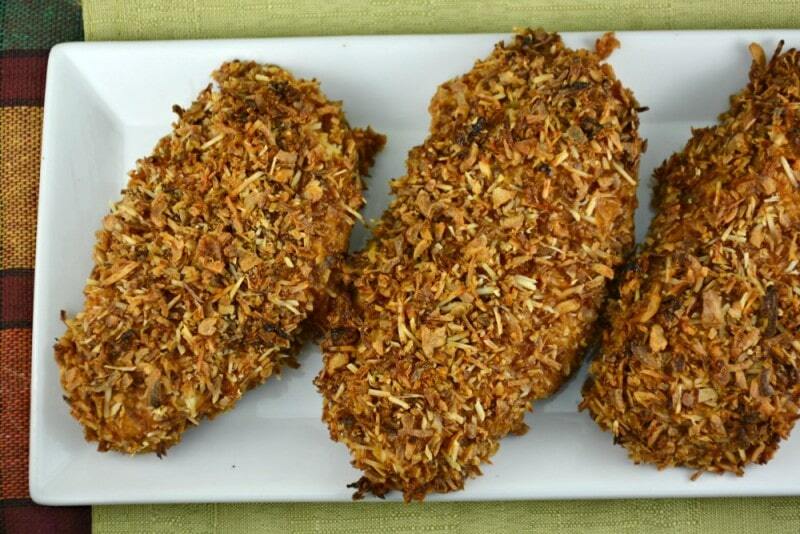 This Crunchy Barbecue Onion Chicken recipe is so easy, uses only a few ingredients and is totally delicious! 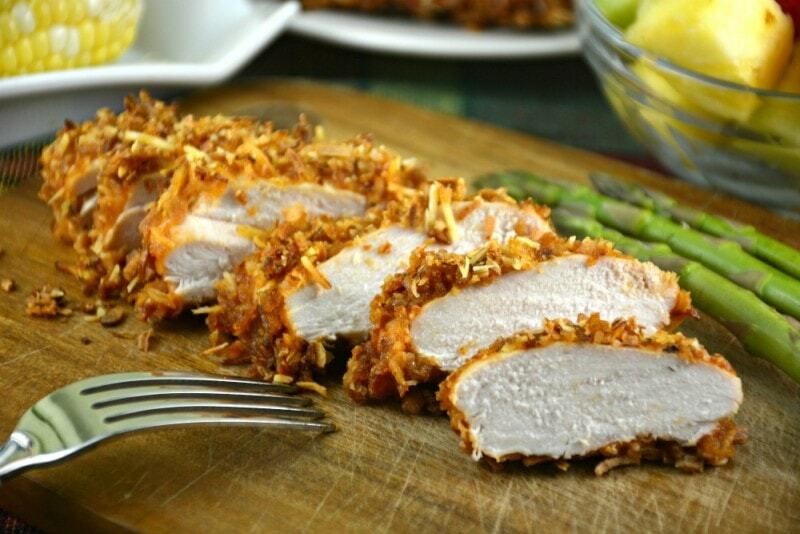 Use any flavor of barbecue sauce to coat your chicken breast and then cover it in crispy fried onions and cheese. It doesn’t get any easier than this! Jump to Recipe Print Recipe Especially during the week I hate spending a ton of time making dinner. I am always looking for great flavors with the least amount of effort and I am pretty sure I am not the only one! 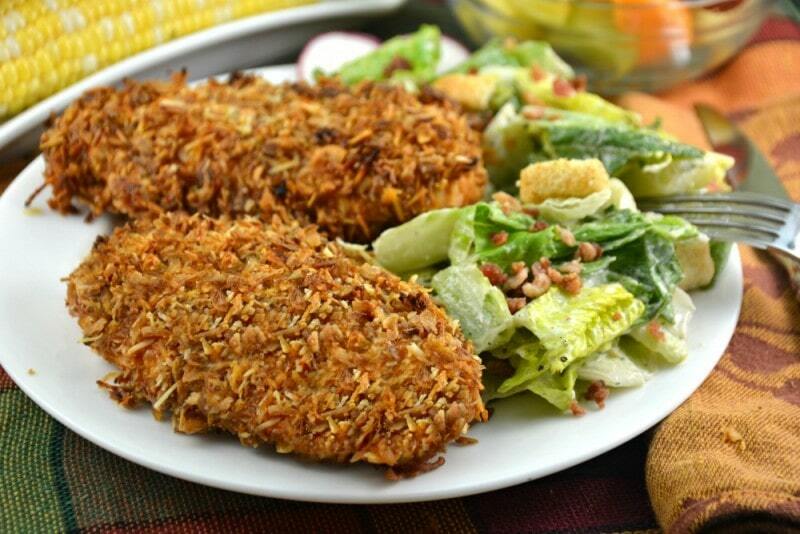 This Crunchy Barbecue Onion Chicken is definitely a long time favorite around here! I am always looking for different ways to serve chicken but then again, isn’t everyone? 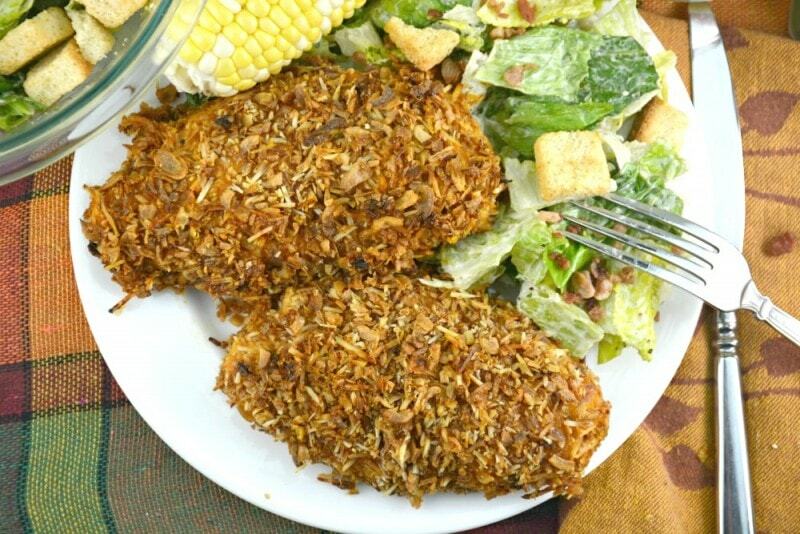 This Crunchy Barbecue Onion Chicken not only tastes wonderful but I always have barbecue sauce, parmesan cheese and crispy fried onions in my pantry so at any given moment I can make these chicken breasts! I have even, especially when my son was small, sliced the chicken into strips or chunks and made chicken fingers or nuggets! All you have to do is adjust your cooking time from 25 to 30 minutes for the strips and 20-25 minutes for the nuggets. Truthfully, the timing is difficult to exactly predict because everyone’s idea of of a strip or a nugget is so different! 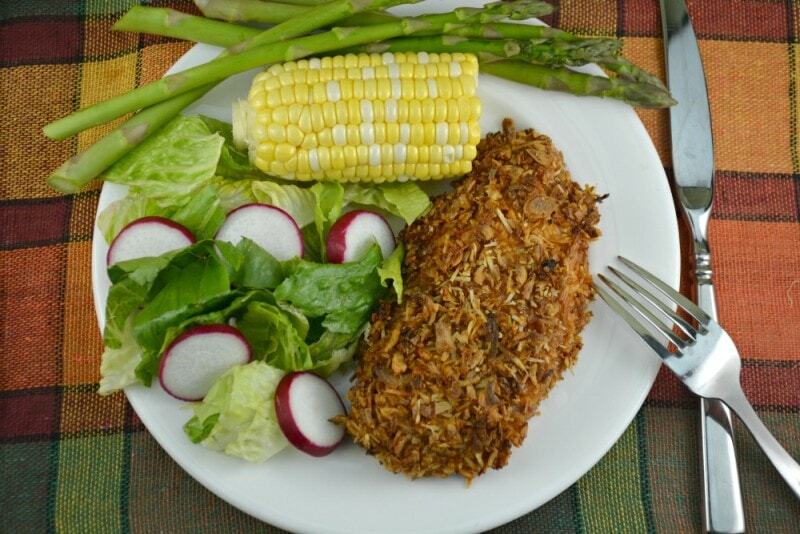 Let me tell you that both kids and adults alike love this Crunchy Barbecue Onion Chicken recipe, no matter how you serve it. I have served it with some barbecue sauce to dip the chicken in at times but it definitely does not need it! If you are looking for some other ideas besides this chicken breast recipe, you might want to check out some of these recipes below. I know this is quite a list but they way I look at it, you can never have too many chicken recipes! You might even want to try one or more of them as well. You just never know! 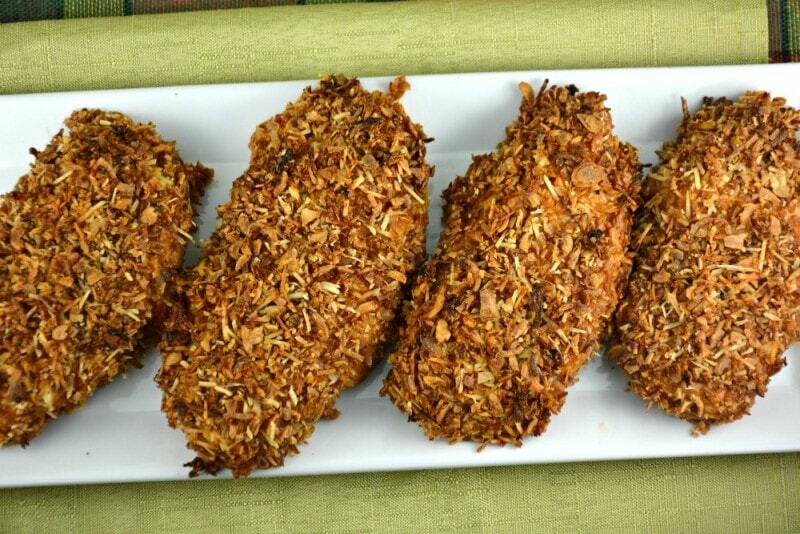 You will find our video below for this Crunchy Barbecue Onion Chicken so you can see how easy it is to make for yourself! Prepare a baking sheet with tinfoil and a rack coated in cooking spray. Set aside. Place barbecue sauce in a shallow bowl and mix the onions and cheese together in another. 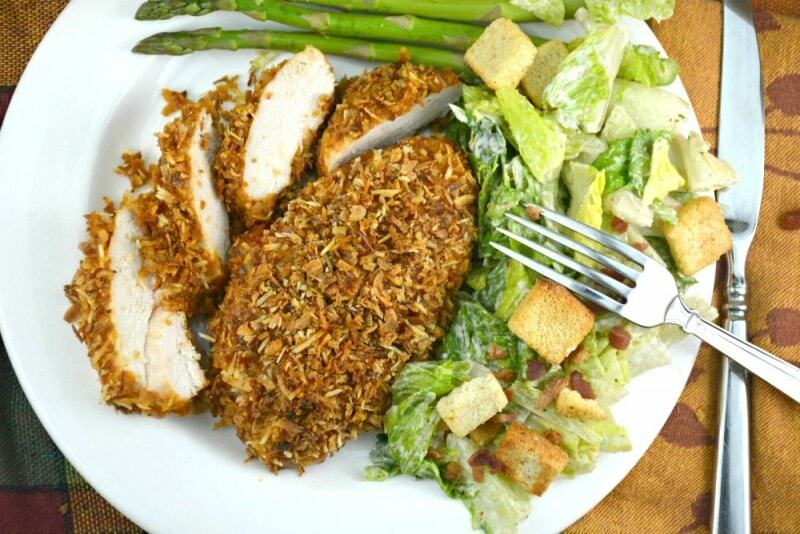 Dip your chicken in the barbecue sauce and then press all sides of the chicken breast into the crispy onion mixture. Place each chicken breast on top of your prepared pan.